My hardcover book about strategies and techniques of genre mixing has been published by the German SVH-Verlag. Order your printed copy from here, or download the Pdf version. How do social meanings and general associations attached to certain musical genres come into play when classical music meets disco, hip-hop meets the symphony or heavy metal meets the opera? How do artistic or commercial concepts and communication strategies affect composers’ techniques of mixing genres? This study observes musical exchange between western art music and various forms of popular music with regard to intra- and extra-musical aspects. The examination of crossing over within popular music focuses on jazz fusion, progressive rock, classical-crossover and mashup. 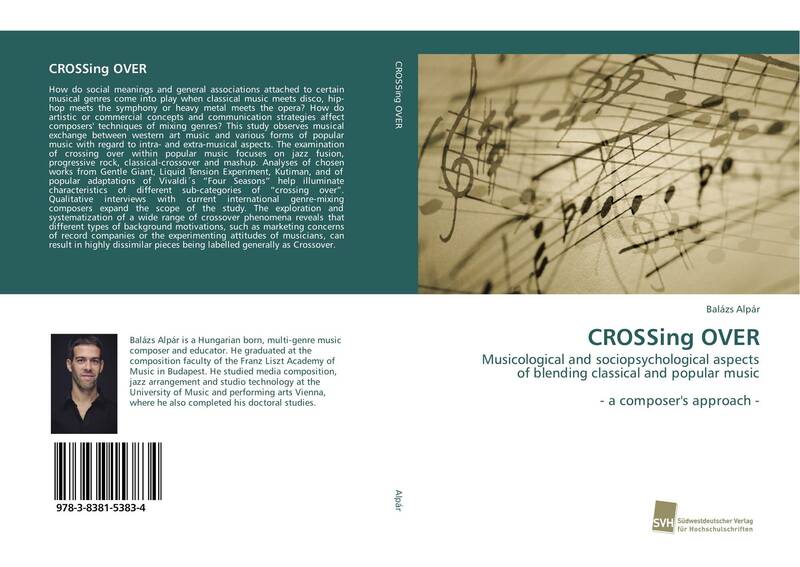 Analyses of chosen works from Gentle Giant, Liquid Tension Experiment, Kutiman, and of popular adaptations of Vivaldi´s “Four Seasons” help illuminate characteristics of different sub-categories of “crossing over”. Qualitative interviews with current international genre-mixing composers expand the scope of the study. The exploration and systematization of a wide range of crossover phenomena reveals that different types of background motivations, such as marketing concerns of record companies or the experimenting attitudes of musicians, can result in highly dissimilar pieces being labelled generally as Crossover.